Die-struck, 1-1/4″ lapel pin with color-fill. 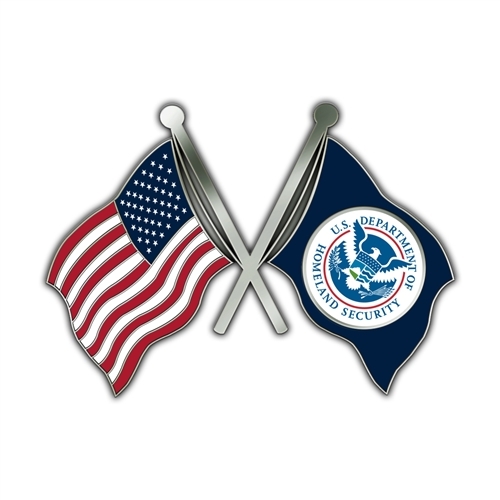 Silver-plate finish with red/white/blue enamel; design reflects USA flag, crossed with DHS flag. Packaged in individual polybag. MINIMUM ORDER: 5 lapel pins. NOTE: Orders of 250, 500, and 1,000 pins may require extended lead time. Please call to confirm availability.